Everyone, please let me know in the comments section (and vote here) if you’d like me to artificially hold back some chapters for when I’m overseas, or if you’d just prefer to get them ASAP. I used a waterproof liner to carefully draw in a natural looking eyebrow. Since it wasn’t all gone, it wasn’t so noticeable if you weren’t looking carefully. And besides, if you took everyone’s make-up off there were plenty of women who had plucked their eyebrows off! Compared to them I still had the ends! Plus, my hair was long enough, so as long as I didn’t run and was careful in the wind it could be fine! Thank god for being driven to school. After having a seaweed-based breakfast I prepared to leave for school. When I arrived, my group was really concerned because I had suddenly skipped a day. “What is everyone doing for Christmas?” I asked. All sorts of answers came out, like going to a party, or going on a trip with family. Everyone’s schedules were filled. Tsk. So it really was just me with nothing to do. It’s just a party with some imaginary friends. I changed the topic to avoid letting something slip. “Has anything changed while I was away?” I asked. Oh, that. Thanks to waking up to bald eyebrows my day was quite hectic yesterday, so I had completely forgotten about it. That tea party felt like so long ago. Hmmm. Quite a lot happened while I was away. Naturally the news about Kaburagi was blowing up. Well, basically any news about Kaburagi blew up. I doubt everyone would have cared so much if I had taken the seat. Thinking about it again, though, thank god I hadn’t. I was grateful to Kaburagi for this. Had I ended up pushed into being President both my eyebrows would have fallen off completely, no doubt. Whoa ho! Could you please not thoughtlessly open the window, guy over there? Won’t my fringe fly about if you do that? When I arrived at the salon everyone asked about my cold. I was sitting in my usual spot with some camomile tea when Kaburagi and Enjou arrived. I gave a weak smile to play up the ‘getting better’ thing. Of course, the truth was that I was fine besides my eyebrows. I’d prefer him telling me some medicine for hair growth instead. Kaburagi had been sitting there legs crossed and enjoying some black tea. He looked up at me when he heard that. “It was even crazier yesterday,” added Enjou. “I wonder what changed his mind,” Enjou smirked. I stared at him for a while. When he realised he looked back with a frown. Why on earth did you decide to do that, Kaburagi? His voice was low and quiet, but I heard every word. Hmmm… So it really was for Wakaba-chan’s sake. He really was the type to do anything for his special person. I felt my heart thump as I was fixed by his strong gaze. Maybe it would have been better had I emphasised that I wasn’t her enemy instead. Maybe it’d have helped avoid any misunderstandings that would lead to my family being destroyed. I was about to say something but Enjou returned, and Kaburagi left his seat instead. Oh dear, don’t tell me my left eyebrow was next…!? 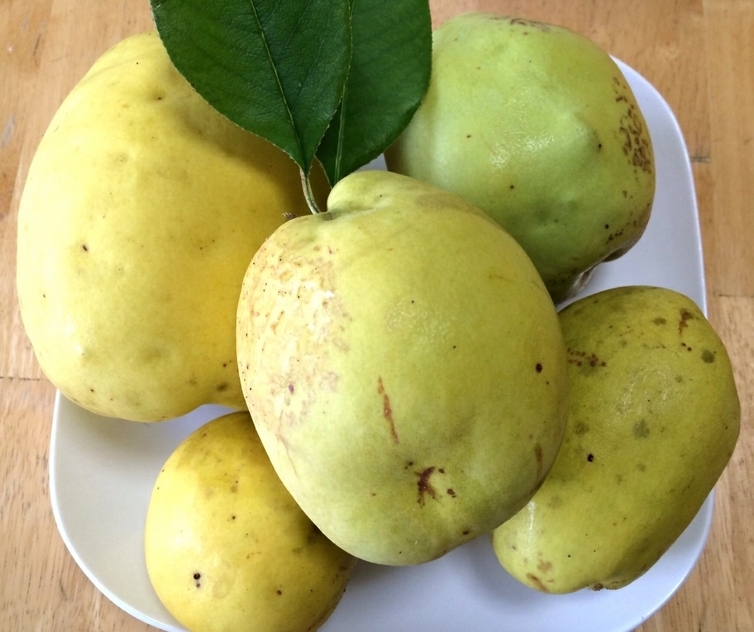 The moment I returned home, I made sure to apply the medicine. We agreed that I’d be coming over during the weekend to pick up my specially made yule log. Yaay! I was looking forward to it! I wonder what Wakaba-chan would be doing for Christmas. 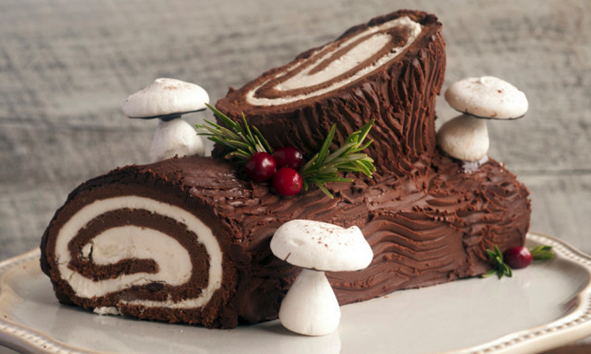 That yule log…it delicious looking! Well at least Reika still has one of her eyebrows(?) still intact. She really does have the oddest ailments. .
Reika should just up and tell him that she and Wakaba are friends. Bakaburagi would then try to gain Wakaba’s favor by making everything easy for Reika. 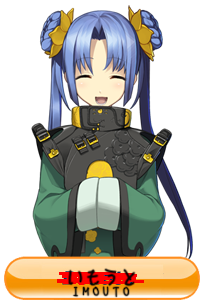 Then again…he’s an idiot that could possibly just mess everything up, but having an all powerful school icon pulling some strings, things should possibly ease up for our already powerful Reika, right? Thanks for the chapter! You think Bakaragi wouldn’t get jealous, even if it’s Reika? Though given the weekend schedule to pick up the Yule Log, I get a feeling she’s about to learn that. The Village Chief looked upon her stocks within the root cellar of her modest cabin and saw that she had ample supplies for the winter ahead. Pocky sticks were harvested from the branches of the Pocky trees surrounding the village. She also had those little koala cookie things that she had to trap individually using snares. The little critters screamed their anguish to the skies as she put them out of their misery. Each and every item of food had to carefully be gathered or hunted from the wilderness surrounding the village of Forever Alone. But it was not merely the stress of these labors that had caused the middle of her eyebrows to fall out. Normally, the village would have other inhabitants. However, she was also diligent in felling trees and shaping planks, so that she might fashion crates (with air holes) and worthy sea vessels. Out of the kindness of her heart, she had diligently insured the escape of all former residents by shipping them off. After all, one did not leave the viillage alone. Indeed, the Village Chief was a good-natured and hardworking girl. Although her clumsiness often spoiled her efforts, what she lacked in talent and skill, she made up for in perserverence. Unfortunately, her earnestness had caused her to neglect her own wellbeing, otherwise she might have made good her own escape before she was to be snowed-in. Regrettably, she would have little to do on Christmas but to needle-felt, sleep and eat. For the climes around Forever Alone were quite inhospitable, and she would be quite snowed-in for the duration of winter. Who can say what made the girl decide to eat outside the village boundaries on a chilly autumn morning? Perhaps she wanted to enjoy what little freedom she had before the storms set in. Perhaps she wanted to take in the orange-and-red foilage of the Pocky trees surrounding the village. Perhaps she had eccentric reasons all her own. Regardless, there she was, munching on sugary treats on the cold hard ground. Misery loves company, and she had not even that. This only deepened her misery. She was the village chief in name only. In truth, she was really quite more like a crazy cat lady without the cats. That was when she spotted the boy off in the distant treeline of the forest. This had not been the first time she’d seen him. And seeing him did nothing to improve her mood. She had seen him while gathering food and building ships. Always, he could be found observing her labors from a distance. He would laugh anytime her snares were mislaid or she expressed discomfort at wringing the necks of the little cookie koalas. Or he would be found smirking when she knocked over a stack of planks. One night, he had even been watching her sleep from a window, and had quickly fled when she woke from the sensation of being stared at. She was sure he was scheming something. But she wasn’t sure what. She noshed on her treats with ever greater vigor and frustration as the boy smiled knowingly at her and fled over the horizon. Gee look at the thick branch on that yule log. I want that yule log.. and mushroom smores on the side as well.. Damn, Kaburagi, feeling Reika-chan out huh? Trying to see if Reika is your rival in love or not huh? Well well well, too bad you for Reika-chan is way ahead of ya in Wakaba-chan’s love meter!!! No need to oppose, he IS Pivoine! But he still is going to move against the current and while he is the god in everyone’s eyes, Reika would be the scapegoat instead of him. Just imagining him irresponsibly dragging her into his own crap angers me to death. Reika is a goddess in everyone’s eyes, though. I highly doubt anyone would dare oppose Bakaburagi, but if that should somehow happen him and Reika moving in the same direction would see the opposition retreating faster than a squirrel from a raging forest fire. Wouldn’t that just make them hate Wakaba more…? I mean, if people assume KabuRei is a thing, won’t they also assume Wakaba is trying to seduce Kaburagi from Reika? Is it weird that when I hear Yule Log I think of that program of a log burning on FOX and not the dessert? Rei-chan I’ve got an annoyance premonition. Thank you for the chapter~~~ Altough my heart needs its regular dose of reika-sama, my brain knows that the effect of binge reading brings more happiness (for a short time)… so I vote for the binge option! kyaaa Enjou-sama! He’s being incredibly scary as his jealousy against Wakaba-chan, our Reika’s main love interest, bleeds out so obviously! So Ved was right. It was because of Wakaba; makes sense. But I’m not sure how this Bakaburagi will fare as President. True, everyone will listen to him, but he also has traits of being overbearing and unreasonable… Maybe he’ll achieve a level up? I mean, it’s been years-one’s bound to happen sometime. But oh? (shipping glasses-ON) How considerate, Enjou. Kaburagi is rather competent in spite of himself. Aside from being an obsessive perfectionist. Kaburagi does what Kaburagi wants to do and nothing more. Outside peer pressure is a nonfactor in his life because he’s too self-absorbed, aggressive and privileged to do anything less. The notion that people might think less of him for defending Wakaba has not even entered his mind. Consequently, that’s what he finds so attractive about Wakaba. Wakaba is straight up-and-down and doesn’t front. She goes to school in gumboots if it’s raining, doesn’t groom her hair and picks food out of Suiran’s forest. She stares off into space and leaves her mouth hanging open. She’s a total space case. She has a lot in common with Kaburagi in that they both live in their own world and aren’t influenced by surrounding peer pressure. This is also why Karburagi feels so satisfied by the Zodiac explanation for Reika’s odd behavior. It’s the sort of obsessive personal project he’d embark upon himself and who gives a damn what anybody thinks of you. He’s just projecting his motivations upon Reika. And ironically, it probably improves his opinion of her, even if Reika doesn’t quite appreciate this. Anyway, we’re about to see how good Enjou’s Observation-Fu of Reika is. I wonder how long it is until he notices that Reika is missing parts of her eyebrows? Yass Ved-sama is my role model! Their analysis is always spot on! SO AFTER THAT, ENJOU AND REIKA SAT DOWN TOGETHER FOR A WHILE HUH? AND TALK, EAT SWEETS AND DRINK TEA? ISN’T THAT THE IMPLICATIONS LEFT BEHIND? Don’t OD the addicts! I voted for spacing it out. Since Reika defended Takamichi’s family cake shop, I wonder if Bakaragi knows that are acquainted. If so, does he think that Reika might be plotting against Wakaba? Thank you for the chapter today. I don’t think that actually I would see a new chapter today. I think you will be busy preparing for the trip on Sunday. Hmm.. I think it would be okay if you just hold back the release of the chapters while you are in overseas. I think most of the readers will prefer seeing you truly enjoy your holiday there than squeeze out a little of your time there to release the chapter. So just have fun and enjoy the time while you all were there. It’s not everytime we can have a nice holiday and over there in Japan (I am so envious of you😂) after all! Yeah.. think of that as Kaburagi’s punishment for being so dense😂I wonder if the one that lead Kaburagi to realization is actually Reika? I’d say it’s quite likely. also I am a bit curious about Yukino.. do you think he’s actually also a black-bellied person like his oniisama? You ration just by not reading the chapters. The rest of us will just read them. That’s what I’ve always thought. It’s silly to have a regular schedule if it means artificially holding back fun for people. That’s why my chapter releases are all over the place. Still, this time it’s like 3 weeks near the end of the year, so I wanted to give people a choice. Wakaba-chan, make one for me too please! Ahem. In any case, I would prefer holding the chapters. I’m terribly busy these days anyways, so I’d rather have them saved so I can savor them while Onii-chan is away. Also, I’m worried. The Tonsure is Bakaburagi’s soul mate… But now Reika’s eyebrow has a tonsure? Run, Reika! Before he falls for you! Nice. Bakaburagi actually pulls his weight for once. So are those chapters scheduled to release through WordPress or are you going to have to manually publish them yourself? If it doesn’t detract from your vacation at all, I’d prefer timed releases. Idk what everyone else is talking about, but I’d feel lonely without Reika’s antics for a whole month. I suppose they’re feeling that releasing them ASAP gives freedom of choice. If you want regular releases you need only ration them yourself I suppose. Of course, I’m well aware that self-control doesn’t quite work that way. Yeah, anyone who can portion something so easily consumable has the self control of the Buddha, but I can deal with whatever happens. I’m low key jealous of your overseas trip. Haven’t gone on one in about a decade. Thanks for your hard work, and have fun! Kaburagi… please don’t make Reika-san lose any more hair. I must know why such a highly flammable girl is mincing her way up to a blast furnace. Or why such a highly flammable girl is wielding a lightning sword with which to attack said blast furnace. – This girl has fine frond-like hair, presenting a great deal of surface area for which fire can catch. As the permeation of oxygen around said surfaces is no doubt vital for combustion. – Said hair is no doubt drenched in hair products of a petrochemical origin. Not unlike drenching some coals with lighter fluid. A great place for which fire can catch. – Said girl is covered in lacy fabrics, which again, presents a great deal of surface area for which fire can catch. As the permeation of oxygen around said surfaces is no doubt vital for combustion. I picture said girl to light up like a torch. What a grotesque and obscene picture you have posted to your site. Blast furnace did nothing wrong. No doubt, the blast furnace is symbolic of the engines of industry of capitalism, which is bearing down upon the hapless proletariat. The hapless proletariat, haplessly have foolishly armed and clothed themselves in the very material luxuries that the system will against them to unmake them. Thus the oppression continues. I like this analysis. I’d just always assumed it had killed her father or something. I love this novel, I discovered this novel 3 days ago and I finished it from 1 to 176, I was so excited to know the rest that I finished it quickly xD. Thank you for all this translation it must have been a lot of work. Huhuhu, I finally have time to read! But damn am I tired. Is it just me or does anyone else think that Reika’s going to run into Bakaburagi when she goes to pick up the yule log thereby igniting Bakaburagi’s jealousy? On the other, awwwwwww Enjou cares about her health enough to suggest a remedy that his little brother uses! Enjou x Reika ship!